Once the plan has been set and the relevant preparations (installation of the base and sand) have been completed, it is time to lay the concrete pavers. 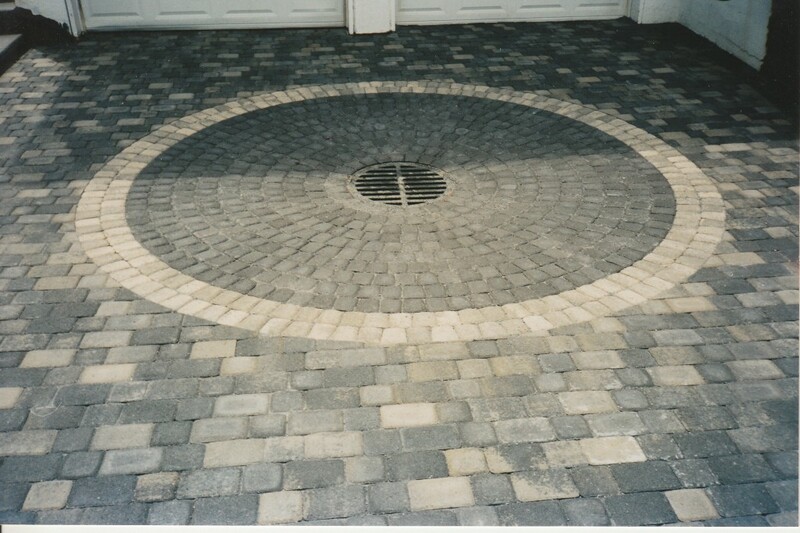 There are many different paver patterns available, all depending on the shape of the pavers and the size of the project. The number of patterns keeps increasing as new paver shapes are designed and as the creativity of contractors and landscapers continues to produce new ideas. Still, there are some patterns, like the running bond and herringbone (described below), that are classics. Picking your paver pattern may not seem as important as picking the brand of paver or the color, but you’d be surprised as to just how important it is. The major factor that determines what kinds of patterns are at your disposal is the shape of the paver you select. The shape and patterns of pavers go hand in hand – when you pick one, you in some sense pick the other. Thus, when you are thinking about patterns of laid pavers or their sizes, you must (by necessity) think of the others as well. You will want to make sure that the size paver you select is appropriate both to the space it will be installed in and to the implementation of the actual pattern you’ve selected. In general, smaller spaces do better with simpler patterns; larger spaces can use either simple or complex patterns. When considering different designs for a paving stones application, such as patio paver patterns, considerable attention should be brought to bear on the optical effects that the particular pattern will bring. A simple pattern, like running bond, where the pavers are in a straight line, will simply make the project ‘blend in’ to its environment. It will not draw the eye, and perhaps this is what you want. However, other patterns will draw the eye more and make the paving stone project the center of attention. For example, the project will look different if the pavers are placed at a 45 degree angle to the house than if they were parallel or perpendicular. Still another feeling may be evoked with a more complex or a random pattern. The more complex and eye catching a pattern, the more people will pay attention to the area itself over anything else, so you need to consider the aesthetics of your space. What do you want you and your guests to look at? Some complex patterns also make the space look smaller than it is, so keep this in mind when designing your project. Other patterns may make the area look longer or wider, larger or smaller. This consideration is especially important when laying walkway pavers, as the pattern will affect the relative width or length of the project according to an observer’s eye. Keep in mind as well that one paver pattern may be more expensive than another due to size considerations and the amount of cuts required. A pattern at a 45 degree angle, for example, or one that incorporates curves, will require more cuts and thus affect the overall time to completion (and thus price!). The more pavers that have to be cut by hand, the more time spent on the job by contractors, and the more brick that are required. Thus, the project may be more expensive. It may pay to select a simpler design just to reduce the costs of the project. Another feature that could increase the time and cost is any curves or special patterns (like circle kits) added to the design. 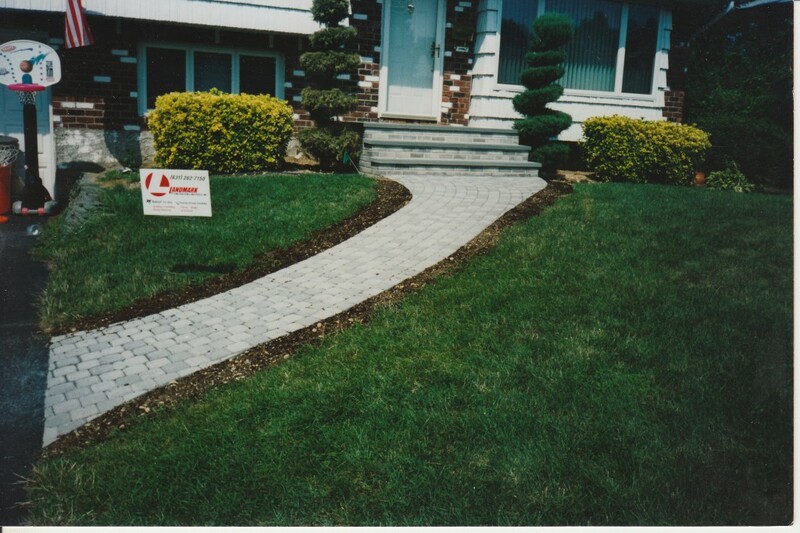 While it will certainly improve the looks of your project, it will come at a rather steep pavers cost. Some concrete pavers patterns are more complex than others and require more skill to install properly. A novice installer may make a mistake in the pattern and only notice it when a lot more of the interlocking pavers have been installed. If a contractor is installing the paving stone application for you, this may not matter as much, though you will want to make sure your contractor has the experience working with the design you’ve chosen. This is why it’s important to pick the right pavers contractor – follow this link for some some tips. Keep in mind that some patterns are stronger than others. Herringbone patterns, for example, provide more interlocking than others, and may be a better choice for projects that need to withstand a lot of traffic (such as driveway pavers). Here below we detail some of the patterns possible with bricks of various shapes and sizes. All of these patterns apply to pavers regardless of the material – concrete, brick, or natural stone (i.e. flagstone pavers). They are organized according to the sizes and styles of brick available with Nicolock pavers. Nicolock usually has the standard brick sizes available in other brands, so it’s a good stand in, but we eventually want to expand this page with more examples and, eventually, images of the most popular patterns that you can use – so stay tuned! Note that you can also mix and match pavers patterns, adding a straight border to a herringbone or running bond pattern, for instance. We are also not considering some of the more rare and unique patterns due to uniquely shaped brick – i.e. anything outside of the ‘quadrilateral’ family. Don’t forget, also, that a ‘random’ or ‘irregular’ pattern can also be laid with particular kinds of paving stones. Always consult with your designer, contractor, or paver manufacturer for more ideas and suggestions! Running bond, installed in random pattern with Roma 1, can have circles installed as well. This entry was posted in Design Ideas and tagged basics, design, paver patterns by Will Grander. Bookmark the permalink.